If you're wondering how to find home improvement grants, HUD programs are a good start. You can often get some much-need cash for major home repairs via HUD home loans. But if you're not out there applying for them, the Department of Housing and Urban Development isn't going to chase you down to give you the funds. So what do you need to know to fix a flooded basement or replace your furnace after a brutal winter? You might want to try one (or two) of these popular HUD home improvement programs. HUD home loans are available only from HUD-approved lenders. (Remember: HUD doesn’t lend money, it only insures it.) And since these programs are backed by HUD, approved lenders are able to offer special rates and terms not found in other loans. The maximum loan length is 20 years. They have no prepayment penalties. For loans under $7,500, you dont need to put your home up as collateral. Loans over $7,500 require your home to be put on the line. A maximum of $25,000 is available for single-family units. They can be used in conjunction with 203(k) rehab loans. You can even use this loan to build an entirely new house, as long as the previous structure’s foundation is still there. The loan amount is equal to the value of the property, which has to fall within FHA mortgage limits (in most areas, that means a max value of $417,000). The value of the property is determined by up to 110% of the property’s value after the rehab work, or the value of the property plus the rehab cost—whichever one is less. This loan is primarily for extensive repair work. You can use it for more minor repairs, but you need a minimum of $5,000 in work to be eligible for the loan. These loans can come with fixed-rate or adjustable-rate terms. 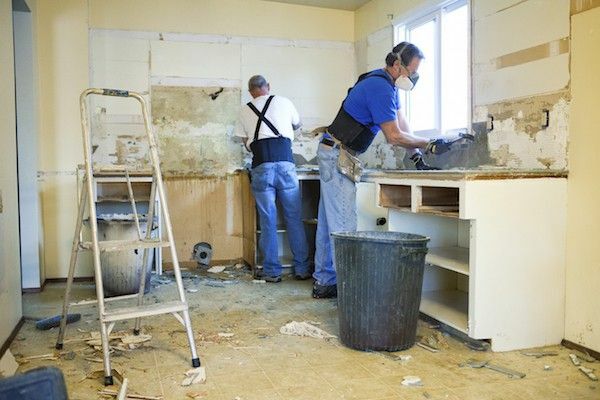 For less serious renovations, consider the streamlined 203(k) HUD home loan. There is no minimum loan requirement, and homeowners can get a maximum of $35,000 in funds. This loan can be used for things like the replacement or renovation of gutters and/or roofs, inside and outside paint jobs, basement waterproofing, accessibility improvements, septic systems, and buying and installing appliances. Both streamlined and regular 203(k) loans can be used for HUD-owned and REO single-family properties. Do you qualify for HUD programs? Not all properties or repair types will qualify for HUD home loans. You may need to hire a contractor to inspect the property. For 203(k) loans, you need to have a detailed list of what repairs are needed and how much they’ll cost—this can take a good chunk of time, so plan ahead. You can’t use any of these loans for luxury improvements, like a new swimming pool. Like with most loans, you’ll want to have a good credit history and be able to show the ability to repay the loan. Credit requirements, loan terms, and rates can vary by lender. With 203(k) loans, you will probably be required to place a down payment and have reserves equal to a portion of the total loan amount. For more information about these HUD programs, see Title 1, 203(k), and streamlined 203(k)loans.